This hardened blade of a strange metal has a plain gold hilt and platinum pommel and shines with the power of daylight when drawn by its wielder. The sword is accompanied by a magical scabbard that suppresses its light when not in use. 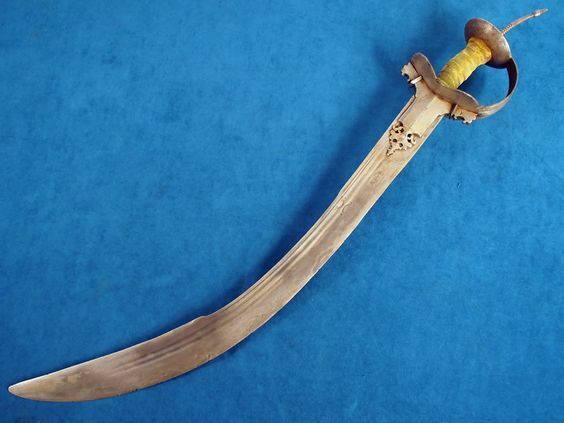 Named after Tiomoutiri, the Golden Planet, this sword was made specially for the Elephant God Maraut and used by him in his prime thousands of years ago, before being buried with him in his own temple, defiled by the Servants of Aposis. The weapon has no alignment, but its blinding light reflects that power and majesty that once cloaked the ancient god of Healing and War. Being a glorious weapon, the sword glows with a dazzling light equal to a daylight spell when drawn. The wielder cannot suppress this light, though it can be temporarily suppressed by any effect that can suppress daylight. A glorious weapon flashes with light, and any creature the wielder attacks in melee is automatically dazzled until the beginning of the wielder’s next turn. When a glorious weapon confirms a critical hit, the target is blinded until the beginning of the wielder’s next turn (DC 14 Will negates); if the weapon’s critical multiplier is greater than x2, this blindness lasts 1 additional round per multiple over x2. Only a melee weapon can have the glorious ability. The weapon was removed from its final resting place after the destruction of Maraut by Arcael and the Oooze. This great blade was once wielded by Xavier but was sadly lost to Rust Lords in the Southern Sarklan Desert on the way to the Pyramid of Black Sands.